I love Google’s products; although sometime judging by the lack of integration (of their own products) and poor documentation it feels like Google doesn’t really want anybody to use them (also Google please hire some decent designers to make things look pretty; note that programmers that know how to use photoshop are not designers). 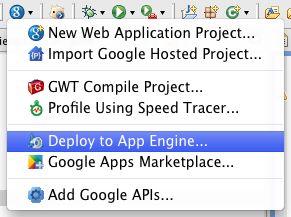 One would think that using GWT Designer for creating an application to be deployed on Google App Engine ought to be very straightforward. Unfortunately, that is not the case. Bellow I will briefly describe what worked the best for me (and then what ought to have worked but did not). By far the best way of developing GWT applications for deployment on GAE is by using eclipse (for people that like using UI’s). Upgrading eclipse to the latest version that is supported by Google might be a good idea at this point (painless way of doing that is described here). Make sure to check the “Generate project sample code”; and also that both defaults for GWT and GAE are selected. To make sure that things are working right click on the project and run it as web application. Once you confirmed that project is running don’t forget to click on “terminate” button on eclipse’s console window (otherwise you will get [ERROR] Unable to bind socket on port 9997 — is another session active? java.net.BindException: Address already in use). Note sometime you may need to restart eclipse to free up the port. Now You have a sparkling clean project. After confirming that things are running fine locally, you can deploy your project to GAE. 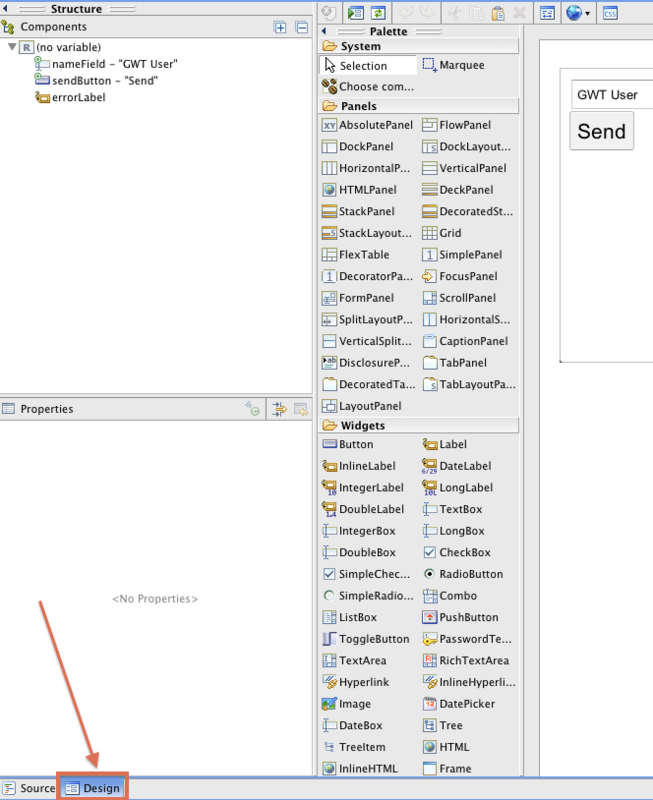 You can easily create an application with GWT Designer. However deploying to App Engine does not work; eclipse complains about absences of war directory and xml configuration files etc. Also I have no idea why GWT Designer’s “design” tab is not available when the GWT file is open from inside of either “GWT Project” or “GAE Web Application Project”. Here are the few issues I encountered to start using GWT with Eclipse. – When running an Eclipse project as Web application, a warning message might appear if there is a new SDK version available. – An error message “The project ‘myproject’ does not have any GWT SDK’s on its build path” displayed in Eclipse. 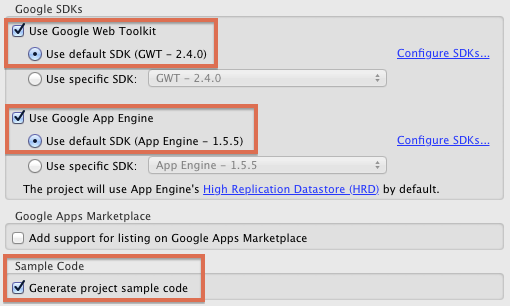 Simple fix is to put GWT SDK library before Maven dependencies in Properties -> Java Build Path -> Order and Export. – The most annoying issue was the message “Can’t create SWT Browser” when trying to use the GWT Design feature. It seems that there are different reasons and possible fixes but GWT team says this is an issue with Eclipse.